An interesting presentation was given by Schiphol Airport‘s new cargo chief, Jonas van Stekelenburg, at the Air Cargo Netherlands (ACN) New Year Reception held in Amsterdam on the 12th of January. The emphasis was on how could Amsterdam Airport hold its position as an important cargo airport. 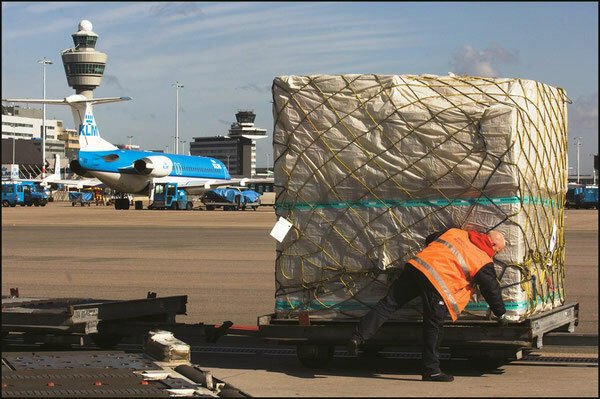 Schiphol Airports’s new cargo strategy aims at a growth rate of 2.5% per annum for the years to come. That was the core message delivered by the airport’s new cargo chief, Jonas van Stekelenburg at ACN’s new year party. The figures for 2015 show a cargo volume of 1.6 million tons having moved through Schiphol. This represents almost a 1% decrease on the year before. Stekelenburg started off by highly praising the efforts of his predecessor Enno Osinga, who had steered the airport through a very difficult period starting with the economic crisis of 2008. He made it clear that the new stategy is indeed a continuation of that start by Mr Osinga. Mr Stekelenburg points out that Schiphol will win the battle to maintain its pole position in the European air cargo industry “on the ground.” To achieve this he says “calls for new and smarter ITR-systems which can enable Schiphol to continue supporting the strong growth in e-commerce and belly capacity whilst also bringing the present cargo security to a higher level. If Schiphol Airport wants to make a difference on the international level, it will be through data exchange. That is our strength,” the new manager emphasized. Jonas is also convinced that both the service and quality of cargo handling at Schiphol needs some upgrading. It is to be expected that the lack of space on the first line cargo platform will increase even more due to the existence of more passenger terminals. Together with other stakeholders in the market, Mr Stekelenburg wants to look into a concept to organize cargo handling in a better and more efficient way. He did not exclude a larger involvement of the airport authority to meet this new quality objective. In concrete terms, he is not in favour of more first line cargo handling companies entering the market. He thinks that possibly a specific limitation on handlers and even a reduction of the actual number of 10 down to 8, may be the answer. On this matter he stated “it is important that we can jointly bring a positive change in the quality of our cargo handling, but first I would like to hear the opinion of the market players,” he concluded. One has to wonder how the so called “players” will react to that line of thinking! Carriers generally welcome more handlers as they can negotiate sharper rates and the real question is whether SPL is actually suffering declining quality due to the number of handlers on the scene. But - what about enticing new cargo airlines to the airport? 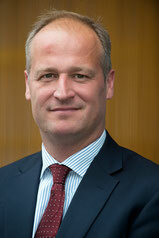 This subject was not approached during the speeches of Pieter Elbers, KLM’s top man and State Secretary Dijksma at the BARIN (see CargoForwarder Global 11. January) reception held almost a week beforehand. Amsterdam’s new cargo boss in his presentation to the ACN audience did not broach this subject directly either. In a presentation slide named “Schiphol Cargo Strategy” the airport lists an impressive list of eight “to do‘s” in order to make SPL Europe’s Preferred Airport. One of these was to support carriers and their partnerships. Does this just refer to present operators only? In all fairness, one has to admit that SPL’s cargo management has done a tremendous amount in the past years to coordinate and consolidate the various actors in the supply chain at the airport. In this sense we’d agree that they are the best-in-class as far as European airports go. Hopefully that is not being endangered by a possible restrictive entry policy for new cargo carriers. If so! - then all the achievements of the past years may be in danger of going down the drain. As Mr van Stekelenburg showed in his presentation, cargo at SPL directly supports 73,000 jobs, accounts for 25% of the airport’s economic contribution and 15% - 20% of the airline revenue at the airport.